Rev. 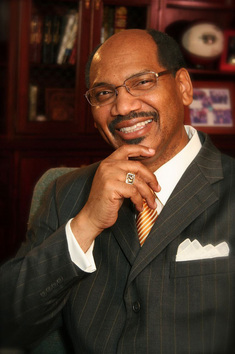 Dr. David Jefferson Sr., Esq. As Pastor, let me first congratulate our Ministry Leader and my Elect Lady, Linda Jefferson, who is lovingly called (Sis. J); as she goes forth operating in her gifts to lead and minister to our women. Honey, you are a Godsend and blessing to me and this ministry and you are chosen to serve the women of God. There is a transitional shift in the atmosphere within the ministry of our women. The vicissitude of women in ministry living, breathing and operating in their God ordained gifts have come to fruition. God has impregnated the women of this church with an unquenchable thirst and hunger for the Word that is causing her to crave a deeper level of spiritual food. Though the women of our edifice have been fed by truly anointed leadership, the onus has now shifted for the women to study and fellowship in a wholesome environment conducive for spiritual elevation. While our women come together, truly unifying the entire body of Christ, meeting, learning and fellowshiping; they are uplifted and strengthened for their life’s journey. Sharing their faith through prayer, testimony and love they are able to trust in their sisterhood through the teachings of God’s Word.